Image-guided, minimally invasive breast biopsy is a standard of care for women with suspicious lesions found through mammography or other imaging modalities. While roughly three out of four of these biopsies find no cancer, one important remaining question is how much time should pass between benign findings and follow-up imaging. What’s best for the patient, and what is the most cost-effective protocol to follow? Recent studies show that when imaging findings are concordant with pathology results, it may not be necessary to put every woman with a benign concordant needle biopsy through the process again six months later. 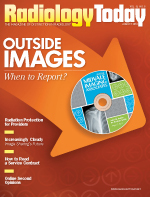 In fact, 12 months may be the ideal time frame for follow-up imaging. A key to ensuring that this revised standard works is the concordance factor. It takes a team that includes pathologists, radiologists, and surgeons communicating and working together to reach the best conclusion possible for each patient. A retrospective study of patients who underwent image-guided breast biopsy at the Comprehensive Breast Center at Bryn Mawr Hospital in suburban Philadelphia concluded that routine imaging conducted less than one year after a benign breast biopsy led to unnecessary procedures and their associated medical costs. Researchers found that one-half of the patients with benign lesions studied received at least one imaging exam during this time period and only one patient among them was diagnosed with cancer. “In a number of patients with benign biopsies, the findings are very clearly concordant,” says Demitra T. Manjoros, MD, a breast surgery fellow at Bryn Mawr Hospital. “In those cases, the imaging made sense. If the biopsy was performed for calcifications and specimen radiography confirmed those findings, then we knew we had good representative tissue samples. At Bryn Mawr, where the protocol is to follow up six months later in cases of a benign breast biopsy, Manjoros says data existed regarding concordance, but there were no good data examining the proper intervals for follow-up imaging. The recent study addressed the value of six-month interval imaging following benign radiologic-pathologic concordant, minimally invasive breast biopsy. According to Manjoros, researchers hypothesized that interval imaging six months after a benign concordant breast biopsy resulted in a low instance of cancer and increased health care costs. The study involved a retrospective chart review of 689 patients who underwent image-guided needle breast biopsy. Of those patients, 188 (27%) were diagnosed with a malignancy; three (0.4%) had non-breast pathology; and the remaining 498 (72.3%) had benign findings. In addition, 44 of the patients with benign results (8.8%) also were surgically biopsied because of discordant pathology, atypia, papillary lesions, or other nonmalignant findings. Interval imaging was done fewer than 12 months after the benign biopsy in 182 (54%) of the 337 concordant patients. For 36 patients, more than one study was performed, for a total of 220 interval-imaging exams. Ultimately, only one patient (0.5%) was found to have breast cancer. An analysis using 2013 Medicare reimbursement rates found that the cost of detecting this single cancer was approximately $41,814. Researchers also noted that this particular patient had significant complicating factors that likely would have independently identified her as a candidate for early follow-up imaging. However, this isn’t to say that Manjoros and other researchers do not believe in the value of interval follow-up imaging. Importance rests with concordance in the findings. She says there is open communication between the radiologist and the pathologist with concordance assessments. The pathologist concentrates on what the radiologist is seeing, she says. “Concordance in findings between the radiologist and pathologist is extremely important when making decisions about care for a woman undergoing biopsy for a suspicious lesion,” Manjoros says. “Concordance means that the results on an imaging exam are explained by the findings of the pathology lab. If the results are discordant—for example, a mammogram shows significant irregularities, but the lab report is normal—we might conclude that the biopsied tissue sampling was not adequate. Such patients demand a special care path. But when results are concordant and the lesion is classified as benign, our study suggests interval imaging is unnecessary. The patient can safely wait a full year for a routine screening mammogram. Organizations such as the American College of Surgeons (ACS), the National Comprehensive Cancer Network (NCCN), and the ASBS concur on standards for image-guided needle breast biopsy as a method for evaluating suspicious masses seen on breast imaging. Along with this standard, the ACS and the ASBS agree that correlation is needed between what pathologists see within the microscopic structure of the tissue sample and what radiologists see in the imaging. At the University of Kansas Medical Center (KUMC) in Kansas City, the matter of specialists from radiology, pathology, and surgery working together regarding breast cancer diagnoses is under the microscope. At the medical center, Ossama W. Tawfik, MD, PhD, director of anatomic and surgical pathology, works with radiologist Mark Redick, MD, PhD, to address how integrated breast cancer diagnostics can improve patient care. The two work “side by side” when reviewing each other’s findings to issue a single, integrated diagnostic report for breast cancer patients. Tawfik says this joint process leads to measurable improvement in diagnostic accuracy and, with that, improved patient outcomes. While PACS and EMRs help with information sharing, Tawfik says they also can hinder direct communication between physicians. “We’re missing the human factor in what is the most human job there is: taking care of the sick,” he says. Using a digital pathology information system, PACS, and videoconferencing, pathologists and radiologists at KUMC span the divide between the specialties for weekly virtual conferences to discuss current cases involving breast cancer biopsy findings and imaging of the same areas. While technological advances continue to help refine the diagnosis process, Tawfik says discordance between pathology findings and radiology findings still can happen to the point where those studying the results could wonder whether they are looking at the same biopsy finding. Tawfik explains that the standard biopsy process involves the radiologist taking a biopsy of a suspicious area of the breast. The pathologist then reviews the tissue and compares it with information in the radiology report to reach a conclusion on the diagnosis. The radiologist, in turn, reads the pathology report and makes a decision regarding whether the findings are concurrent or discordant then recommends the next steps for the patient based on this information. At that point, Tawfik and Redick will bring in the surgeon, who discusses findings with the patient and acts on those findings. “We work together virtually and use technology to communicate and verify each other’s assumptions,” Tawfik says. Salkowski adds that this type of conferencing also may be unique to breast imaging since breast cancer affects a large population and there is a regular screening process for this form of the disease. “There’s also the issue of MQSA [Mammography Quality Standards Act], which presents a need for breast imaging professionals to keep an eye on practice patterns,” she says. Salkowski also was part of a UW study in which researchers determined that eliminating the six-month follow-up biopsy following a concordant benign biopsy result could potentially reduce health care costs without compromising patient care quality. In the retrospective UW study, researchers found that six-month follow-up imaging for concordant benign image-guided biopsy results did not aid in the detection of breast cancer. While these studies present evidence that waiting 12 months is sufficient for a follow-up breast biopsy in concordant situations, Salkowski says that doesn’t mean this standard should necessarily be applied across the board. “There needs to be a definite determination that findings are concordant, discordant, or insufficient,” she says. Specialists involved in all aspects of breast cancer care agree that more analysis of the time between benign breast biopsy and follow-up imaging will help to clarify the best practices for women as they travel through the screening and diagnosis process. — Kathy Hardy is a freelance writer based in Phoenixville, Pennsylvania. She writes primarily on women’s imaging topics for Radiology Today.